Ann Marie Vega is Senior Director of Customer Success Strategy at Genesys where she leads cross-functional initiatives focused on delivering customer success through the PureSuccess services offers. Before joining Genesys, she managed a small SaaS business delivering workflow management solutions to creative teams working in the packaged goods industry. 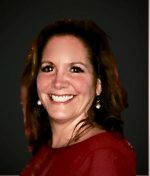 Ann Marie has vast technology experience having held leadership roles in Agile software delivery, customer success management, strategy and product management. She has a Bachelor’s degree in Marketing from the University of Massachusetts – Amherst and an MBA from Babson College.